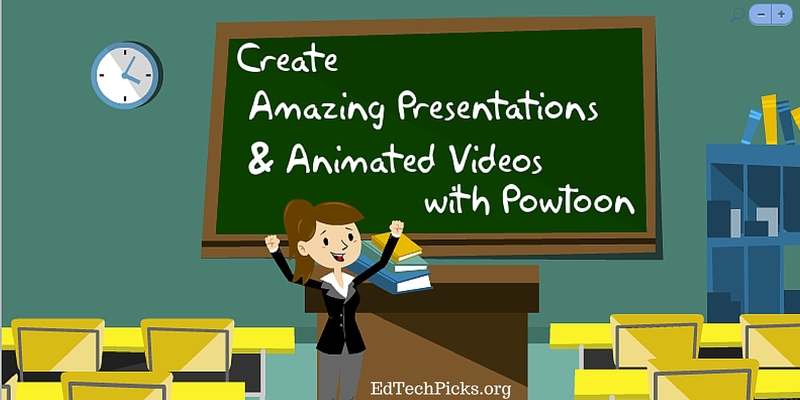 Powtoon is a great animation creator for teachers and students to make engaging presentations. 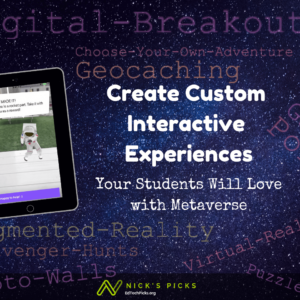 It’s a great way to take your instructional presentations up a notch, or a perfect tool for giving students yet another way to creatively demonstrate understanding. The ability to make engaging, professional-looking, animated videos with a simple drag and drop interface make this a popular choice for students. Free accounts are available for both student and teacher use, but upgraded accounts are available to provide more features. I’ve had students use Powtoon to explain natural selection in under 1 minute, to explain what a keystone species is by creating an animation to provide an example of one, and to present research proposals. 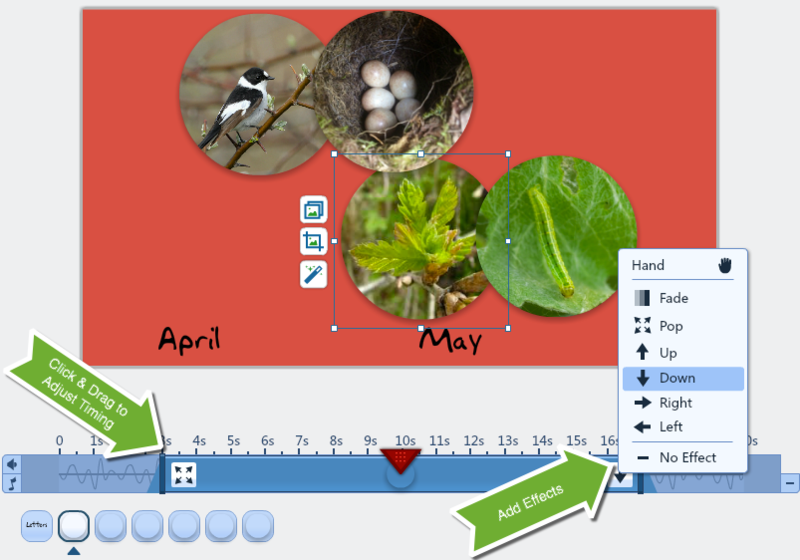 The PowToon below is a short video I created to explain the idea of Phenological Mismatch. Creating an animated video or presentation is easy, but I strongly suggest following PowToon’s advice to start with your Voiceover before working on the visual parts of your project. You can also refer to their collection of short video tutorials if you need some help. Keep the desired length of your video in mind when writing your script. Free accounts allow you to create videos that are up to 5 minutes long. I like to use the guideline of 120 words per minute when estimate the length of a script. Record you audio first. I know this is contrary to the way most people make presentations, but trust me you will want to do the audio first. I ignored this advice and struggled so much in putting my presentation together that I restarted my entire presentation. Powtoon has a built-in voice recorder, but if you’re looking for more bells and whistles, any .mp3 audio files can be uploaded. 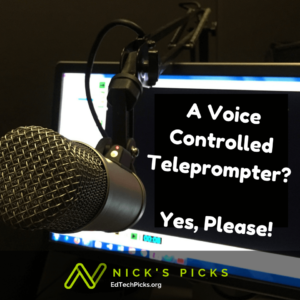 Some suggestions for recording voiceovers include Audacity, and audioBoom. Several templates are available, or your can start projects from scratch. I suggest starting your presentation by creating a slide for each scene from your script. Each slide is set to appear for 10 seconds by default. You audio will run its entire time, flowing automatically between slides. You will need to adjust the length of time to display each slide (from 1 to 20 seconds) to match your audio. Add text, images, backgrounds, characters, and animations to your slides. You can upload your own images, or choose from a variety of images already on Powtoon. Now make your presentation standout. Adjust when slide elements enter and exit by clicking and dragging on the timeline while listening to your audio. You also use the timeline to add effects to slide elements. My video used the hand effect to add and remove images from my slides. Don’t forget to animate your text. Powtoon offers a variety of text effects to spice up your presentation. I’m a big fan of the handwriting effect that makes text appear as it is written across the slide. Good transitions can really take your presentation from a narrated slide show to an animated video. 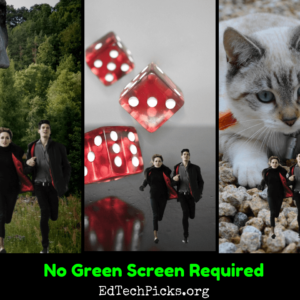 Choose from familiar transitions, or drag a squeegee across the screen to erase a slide, have a set of hands pull the slide off the screen, or get creative with other zooming and animated features. You can share your video by publishing it and sharing the PowToon link, or uploading it to YouTube or Vimeo. Additional features are available with affordable teacher plans at $2 per month, and student plans at $1 per month. Classroom accounts at just $8 per month include a teacher account, 60 student accounts. It also allows you to create class “groups” that will alert you when students submit PowToons. How will you use PowToon in your classroom? Share your ideas in the comments below.